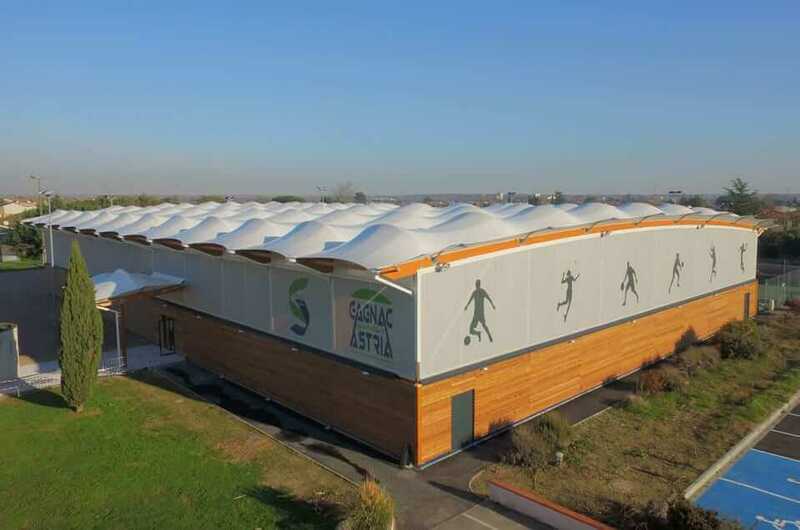 In December 2016, Gagnac sur Garonne (31), a town of some 3,000 inhabitants, inaugurated ASTRIA, a Preosport housing a multisports area and a bowls pitch. Patrick Bergougnoux, the municipal councillor in charge of finance and project prime contractor, talks about this investment meeting a number of requirements. Because the town did not have a gym, we had been intending to build a covered facility for many years to supplement the two outdoor tennis courts, two football fields, bowls pitch and the association halls (gym, dancing, music, etc.) we did have. We had a plot of land available nearby the existing structures, but it was in a flood-risk zone. After a lot of thought, we decided to invest in a Preosport from SMC2 because it demanded fewer building permit constraints than a gymnasium. What was behind this choice? 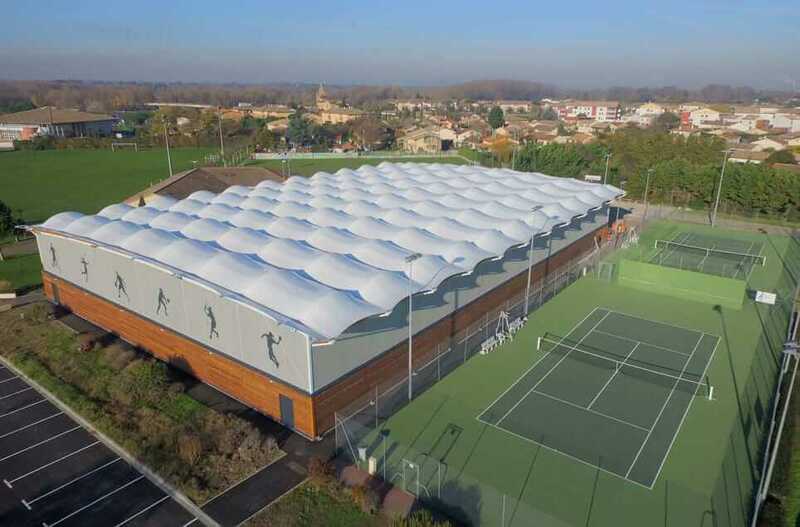 It is an excellent compromise because it’s a roofed structure with closed sides that let the air in because they feature slats along the lower sections and micro-perforated fabric along the upper sections. Having a roofed facility was important to be able to host school and club activities, in particular for children. In addition, this system avoids having to pay high operating costs since there is no heating and very little lighting thanks to the structure featuring translucent tensile fabric that lets in natural light. Lastly, it blends into the environment perfectly, an important criterion for a rural town like ours. Could you tell us about this sports facility? 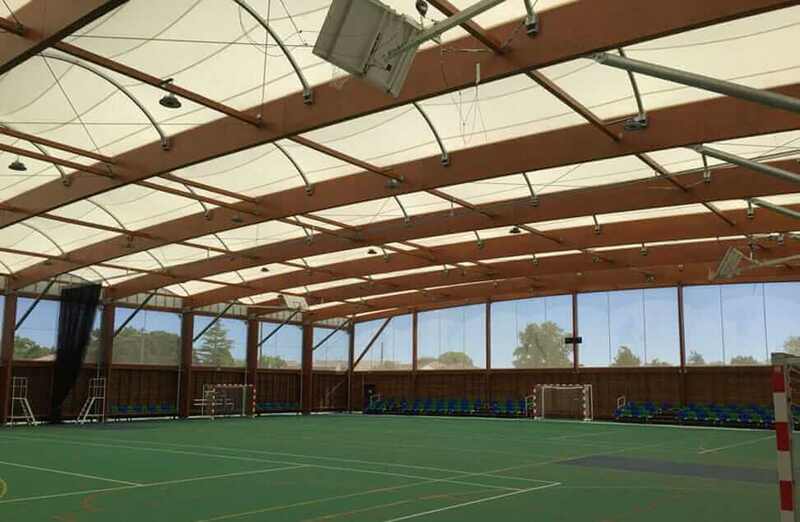 The first section features a 45 x 36 m structure housing two multisport areas separated by a moveable net, for football, tennis, basketball, badminton and volleyball. When it’s not subdivided, the area measures 40 x 20 m and can therefore host handball and futsal matches. So, the French Football Federation has accredited this field at futsal level 3 and the two lengthwise areas (34 x 17 m) at futsal level 4. 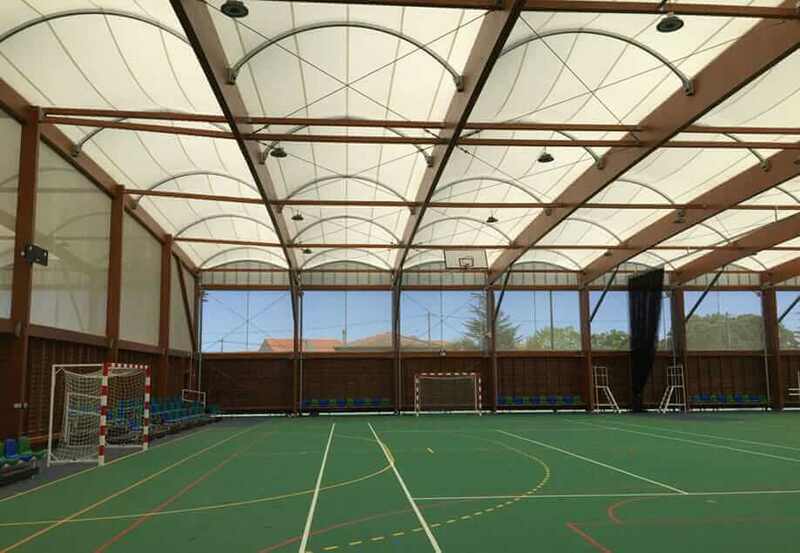 This dual playing area can host several sports activities simultaneously, which is highly appreciable because the facility is used very intensively by the two nearby schools and the Gagnac Sports and Culture Association (more than 1,600 members in all). The second section, located further along, measures 36 x 10 m and houses a bowls pitch. It can accommodate up to 4 games for an official competition and a few more for training and friendly games. Feedback has been very positive since this investment has empowered the existing football, tennis and French bowls associations to continue play even in bad weather conditions. Furthermore, this facility has fostered the creation of a badminton club and is expected to provide incentive for leisure activities involving basketball or volleyball. As far as operation goes, the facility is run like a gymnasium: it is reserved to municipal and club activities with free access not currently contemplated.